Let’s not pretend this isn’t an unusual pairing. Because it is, but that’s not a bad thing. I should just skip the game description, but I have standards, darn it! Monopoly is a competitive economic set collecting game with auction & trading and roll-to-move mechanics. The goal of each player is to avoid going bankrupt, which eliminates the player from the game. The last player standing, wins! 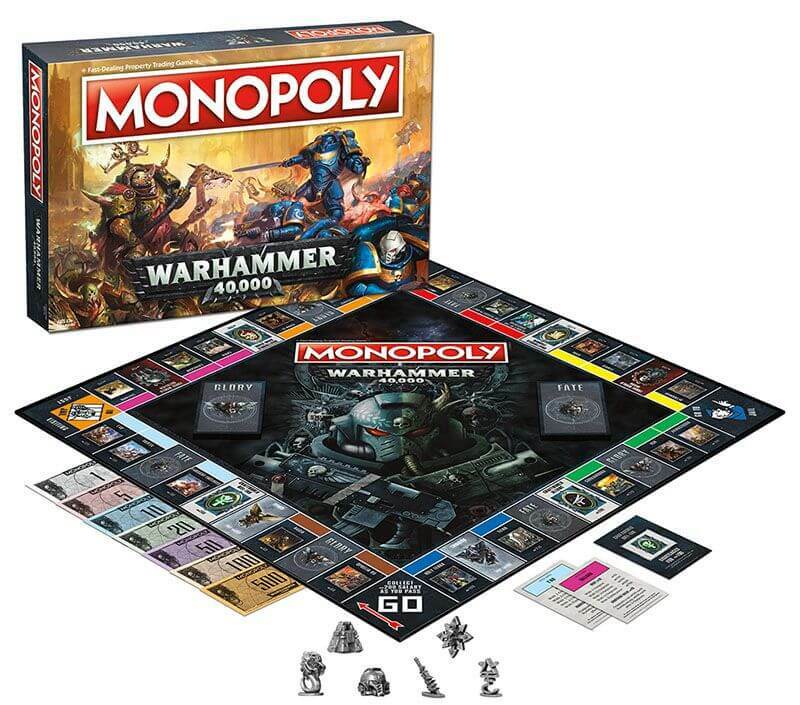 If you’re like most modern gamers, you’re not a fan of Monopoly. Trust me, I’m right there with you. Still though, theme can play a big part of making a game more enjoyable. So if you’re willing to get over your knee-jerk reaction, you might actually have a good time giving this one a try. Not much else to say here. It’s Monopoly. 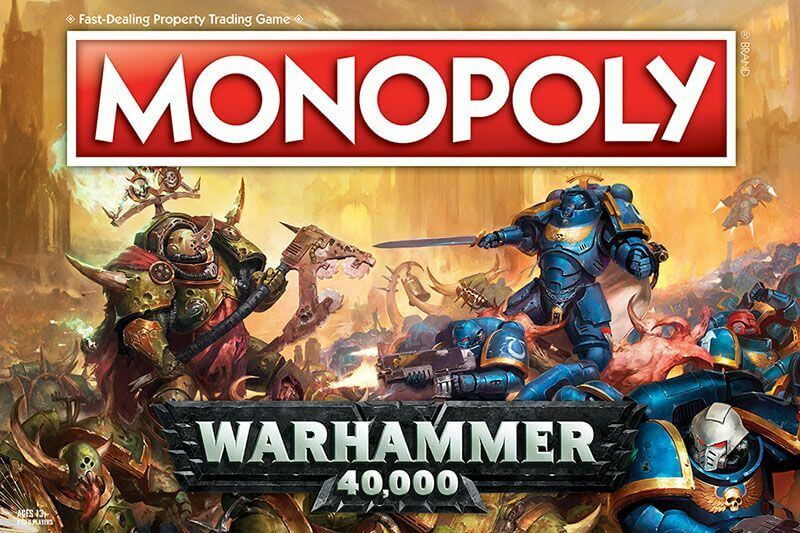 But Warhammer 40,000. As a bonus it comes with some pretty cool metal minis to use as objective markers.